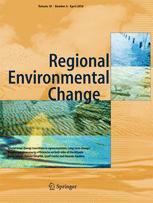 A new paper, "Climate change adaptation and cross-sectoral policy coherence in southern Africa" has just been published in Regional Environmental Change. The paper is an output of the UMFULA project, and was led by Matthew England from the University of Leeds with Kulima director, Dr Katharine Vincent, as one of the authors. Using the cases of Malawi, Tanzania and Zambia, the paper investigates the extent of coherence in national policies across the water and agriculture sectors and to climate change adaptation goals outlined in national development plans. Findings show that sector policies have differing degrees of coherence on climate change adaptation, currently being strongest in Zambia and weakest in Tanzania. Sectoral policies remain more coherent in addressing immediate-term disaster management issues of floods and droughts rather than longer-term strategies for climate adaptation. Policy coherence is more likely where there are cross-ministerial structures in place, for example Zambia's Interim Climate Change Secretariat.